For smart businesses with a diverse variety of IIoT devices, LTE Cat-1 technology brings reliable connectivity to fleets, heavy equipment, unpowered assets, utility meters and vehicle area networks. The enterprise network delivers critical data streams that need to leverage LTE networks, however it is essential these new solutions come with improved efficiency and value. LTE Cat-1 is tailored to support these needs. With the 2G network phased out in the U.S., companies have migrated to 3G, but with news of a sunset on the horizon, are now looking at LTE. The commercial marketplace continues to explore and expand what is possible, connecting a diverse array of IIoT equipment such as fleets, heavy equipment, unpowered assets, utility meters and vehicle area networks. CalAmp is busy commercializing LTE Cat-1 devices to align with market demand this year, while expanding our diverse LTE product portfolio in 2017. These devices take advantage of LTE Cat-1 features to deliver data communications at higher speeds and align with the Mobile Operators new LTE Cat-1 networks. We are excited to be releasing a seventh option soon. As carriers announce and develop new networks, CalAmp is there, researching and developing technology far ahead of market demand in order to provide customers with the most advanced solutions. Our expertise runs the gamut from core radio design of narrowband technologies to multi-mode, multi-radio and multi-band solutions, including private LTE. 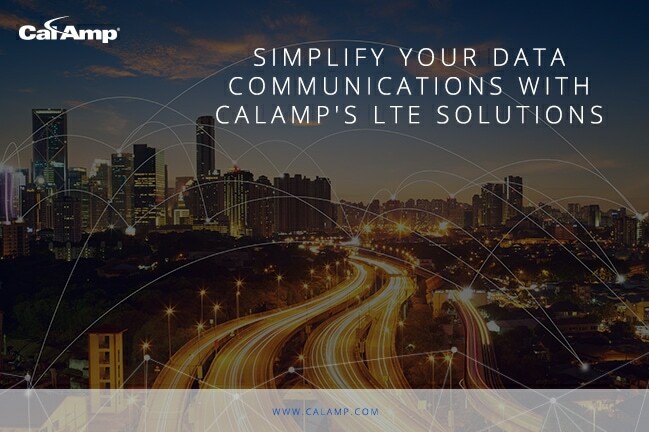 Today, CalAmp is one of only a few companies with experience in such wide range of LTE technologies, devices and networks. CalAmp is already building for the next stage in the connectivity revolution, LTE Cat-M. As the network matures and demand increases, we will bring devices to market to harness the capabilities of this new device category. LTE Cat-M requires even less power than LTE Cat-1 while providing stronger area coverage, including improved transmissions from underground and better range. It is ideal for many powered and non-powered assets and trailers. As innovation drives new applications, CalAmp is there with solutions that connect the Internet of Machines securely, reliably and simply. If you would like to learn more about CalAmp’s devices, please visit our products page here. You may also visit with us September 12-14, 2017 at Mobile World Congress Americas in booth #N1342.